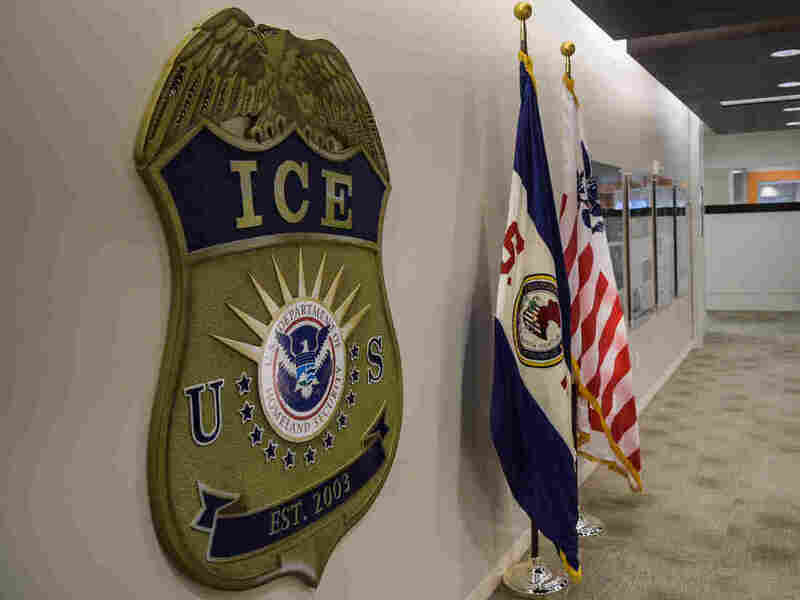 ICE Lawyer Charged With Stealing Immigrants' Identities To Commit Bank Fraud : The Two-Way The Justice Department says Raphael Sanchez stole the identities of seven immigrants. Sanchez has reportedly resigned from his post as ICE's chief counsel in Seattle. Raphael Sanchez, a chief counsel for U.S. Immigration and Customs Enforcement, has been charged with stealing immigrants' identities. Raphael Sanchez devised a scheme to use the immigrants' identities in order to defraud financial institutions including American Express, Bank of America and JPMorgan Chase, according to the filing, which was entered in the U.S. District Court for the Western District of Washington. Sanchez resigned from the agency on Monday, The Associated Press reports. He is charged with one count of wire fraud and one count of aggravated identity theft, occurring between October 2013 and October 2017. The filing cites an example of a communication by Sanchez with intent to defraud. It describes an email sent in April 2016 from Sanchez's work email to his Yahoo account, containing an energy bill addressed to a Chinese national identified only as R.H. The email also included a photo of R.H.'s U.S. permanent resident card and a copy of the biographical page from his Chinese passport. The Seattle Post-Intelligencer reports that Sanchez used R.H's information to pay the energy bill. Sanchez is scheduled to appear in court Thursday. The AP explains that the charging document in Sanchez's case is used when the defendant has waived his right to be indicted by a grand jury, indicating that a plea agreement is likely. The Washington Post notes that ICE agents in the state have been active in President Trump's immigration crackdown: "They arrested dozens of undocumented immigrants in September's 'Operation Safe City' operation, a four-day effort in which the administration targeted 'sanctuary cities' around the country, including Seattle, where local officials do not cooperate with federal immigration enforcement."